So, who or what do you think is really running your business? Is it something you can readily see, feel, touch, or experience on a regular basis? Or might it be something hidden in the shadows that is actually controlling things?? One of my findings of working in organizations is an unhealthy and destructive set of organizational dynamics that I call the “cultural shadow system” (CSS). This array of unseen forces operate inside the organization’s informal system and are a powerful, influential, and negative set of silent assumptions, and irrational beliefs affecting the performance and growth centers of the organization. They work to disrupt the evolutionary development of emotional intelligence and higher state awareness within the leadership team and workforce. They obstruct growth in the areas of leadership, culture, and socialization. CSS infects and changes the cultural dynamics that shape individual, team and organization effectiveness, performance and awareness. In my opinion, many of the strategy and execution failures that company’s experience today are contaminated by CSS. CSS works partially because denial, self-deception, collusion, and false agreement have become so common in the people systems of so many organizations. It’s the new comfort zone. It operates as a collection of primarily covert dynamics and affects at least four interdependent people domains. These underlying and irrational system forces operate on the organization’s work environment and infect its member’s core beliefs and behaviors. CSS normalizes the rate of growth and decline in order to maintain (roughly) the status quo within a dysfunctional organization’s (cultural) center of gravity. CSS is the set of informal rules devoutly believed that inform the “why, how and what to do rules” that are rigidly followed by most of the organization’s members. It insures a lower but accepted level of performance by making sure that members below the center of gravity are pulled up or out and members moving ahead (above) are pulled down, or out by the “center’s” informal authority system. CSS employs various group dynamics such as peer pressure, reward and punishment practices, unhealthy norm enforcement, interpersonal approval and disapproval actions, and social acceptance and alienation mechanisms, among others to regulate the irrational and under performing center of gravity. Obedient to the “informal rules,” the members cannot fix problems because they cannot see them. These are used within the CSS framework and are the conscious and unconscious set of irrational behaviors that operate as accepted practices and regulate feedback and disclosure. The result is a false reality and a lowered level of awareness of how the members and organization are really doing. Over time (and under stress), CSS can disrupt the members’ awareness of organizational reality, preventing right actions and self critiquing and spawning catastrophic fantasies and chaotic communications that continually increase inaction, wrong action and misinformation. These “CSS” dynamics serve to obstruct the organization’s ability to learn from its experiences, evolve, and grow into a healthy and high performance culture. The assumptions operating in the Informal System allow CSS to regulate the formal and informal boundaries and expectations that define the accepted range of worker behaviors. Silent assumptions, low expectations, and false agreement operate to maintain and reinforce the veiled center of gravity. Further, the core values that usually insure effective communications, expand member awareness, and produce truthful feedback and learning are normalized to match the center of gravity. This can result in a suspended workplace focused entirely on maintaining the revered “center.” As a result, rational individual and collective goals are maligned and replaced with ambiguous organizational priorities. This process helps perpetuates the false truth around performance, progress, and results and reinforces the members’ certainty that the organization’s is succeeding. To manage the CSS dynamics effectively requires a more integrative way of leading and thinking. 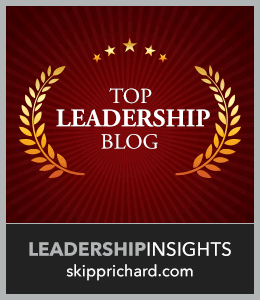 Leaders need more time for reflective thinking about how to develop an integral leadership style, improve organizational health, and fitness for future actions. They must develop a psychologically safe culture that supports open and honest feedback even when it is controversial and objectively measures actual results, people systems, weaknesses, and external realities. This will require leaders to engage in self-work, raise their awareness, and develop the ability to lead from multiple perspectives. All while teaching, coaching, and developing others along the path to increased EI, authentic meaning, and courage in pursuing improvement, innovation, and changes that matter. This includes diligence in design and reinforcement of healthy cultural norms, the reflective development of deep core values, and employing a holistic leadership style in executing major change and improvement initiatives. One of the primary goals in reducing the effects of CSS is to architect and execute a healthy, structured, and disciplined set of practices to advance the organization’s vision and strategy, organizational learning, rapid adaption capability and development of conscious leaders. The informal systems reality of CSS requires Leading (Big L) with depth in developing, executing and communicating (actions and words) a compelling vision, values and purpose intent. A vision anchored in integrity, a strong moral code, rich in meaning and guided by a noble purpose imperative. The integrity of a team based management system is in no small way determined by the degree in which the teams’ behavior is authentic and honors in action the concepts of social justice, the workers freedom to do their jobs, to be himself or herself, and that fully utilizes the team’s talents within a higher stage culture and productive workplace design. Can you identify with the CSS dynamic? How do Leaders focus on increasing self-awareness in the workforce? How do you define higher stage leadership in the 21st Century? Is there an implied moral code inherent in leadership? Phenomenal article, Doug! Very insightful. Thanks for sharing :-). Thank you for reading my blog and your kind review. I am glad my post resonated with your experience. Good to hear from you. 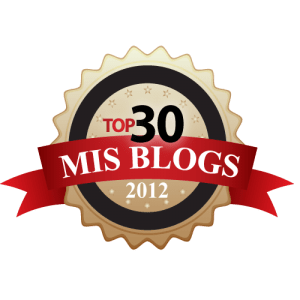 Thanks for reading my blog and your excellent comments. It seems we usually agree on these issues. I would add to your assessment that insecurities and self deception go hand in hand in feeding CSS. Wow Doug, your describing my company! Thanks for reading my blog. Unfortunately your company has a lot of company in this area. I hope you are hanging tough in spite of the infection and its power to pull you into the muck. If I can help you, please let me know. Doug — Great post! I served for a while in a company with a very prominent CSS. It seemed to be an outgrowth of an acquisition that wasn’t properly integrated, a mix of incompatible cultures, and a confused/ unclear vision from the acquiring company about what they wanted the new entiity to be or do. I think you make clear that the CSS arises to fill the void left by weak leadership. Your post was almost like ready history. Nice job! Thnx. The integrity of the team (its individual members) that acts with honor and authentic motives is the real key to combating CSS. In our day and age with our culture deteriorating from within; from family unit breakdowns to government scandals and corporate greed, it is no wonder that CSS has taken up such a “rooted” place in our companies. I think it is interesting that this book that is referenced is from 1994, and yet, I have never heard of this. Thanks for a great read! I am just a little bit wiser today, because of you. Thanks for reading my blog and your kind words. I love your thoughtful comments. Concise, on target and timely. Your expansion of CSS to the larger world arena is an excellent way of positioning the affects of CSS on a broader stage and linking it all into an interdependent whole. Good stuff..
Spot on as always! CSS is easy to identify in sick cultures; it’s harder to locate in healthy ones; and it’s invariably present at some level in all organizations, akin to an illness that can be controlled but not killed. I’d add that the solution starts with the CEO’s own behavior. Does he/she inspire trust? Have the courage to take on the bullies and sacred cows? Demonstrate EI by admitting their own flat spots, mistakes, etc.? Great catching up this past weekend. Thanks for reading my blog and I agree completely that you will find some version of CSS in all organizations. As they say, the tree dies from the top. So the CEO is either a player or a pawn. No doubt trust is essential but so is intent (that interior thing again). We’ve seen our share, danced with the shadow and won a few rounds along the way. Being awake sure makes a difference don’t you think?